The greatest oil boom in this nation's history has occurred during the tenure of self-proclaimed environmentalist Barack Obama. 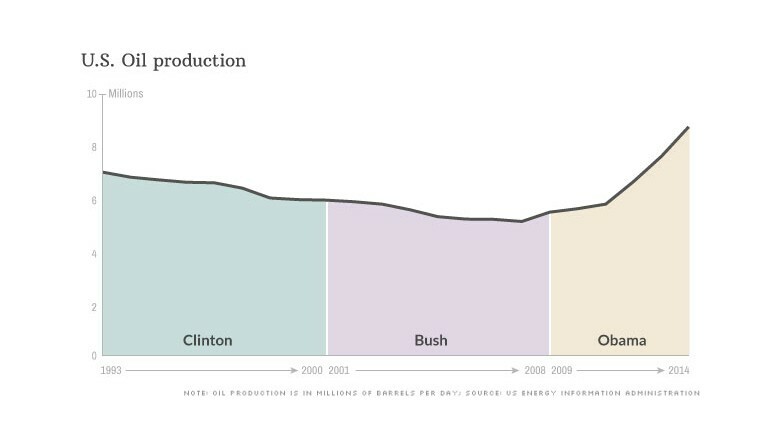 Under Obama, the steady drop in U.S. oil production which had occurred virtually unchecked since 1971 has been reversed. Crude oil production has risen every year of his administration. It has jumped 72% since he took office, producing about 3.6 million additional barrels a day during that time. Oil production has grown so much that last summer the nation caught and passed Saudi Arabia as the world's largest oil producer. Before Obama leaves office, domestic oil production could top the U.S. record set in 1970. A combination of new technology, primarily fracking, has unlocked oil that was previously out of reach of drillers. That, coupled with high oil prices during much of his term has encouraged investment in the oil exploration, experts say. The administration has been a bystander during the oil boom, neither encouraging nor discouraging it, they say. 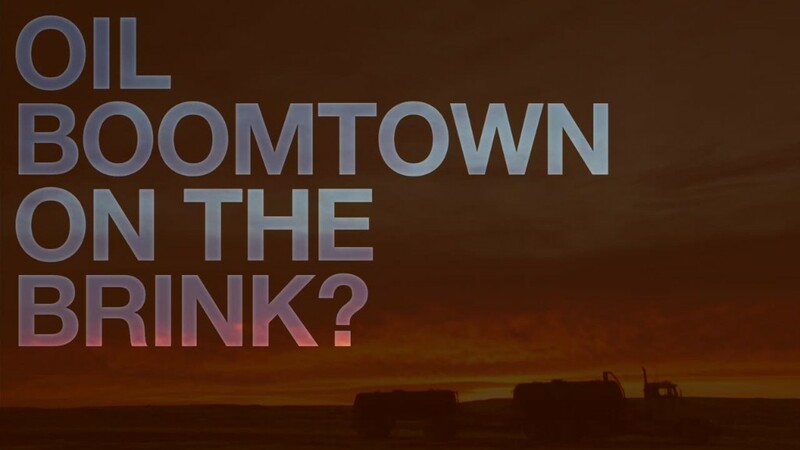 "You can't credit or blame the president [for the oil boom]," said Tom Kloza, chief oil analyst with the Oil Price Information Service. "It's been the twin pillars of price and technology. It's capitalism at work." Production is up only slightly on federal lands, contributing to the boom towns in North Dakota. But most of the gains have been on private land. Meanwhile, in the face of cheaper on-shore oil, production has fallen from expensive offshore wells leased from the federal government. Offshore production reached its peak in 2010, the year of BP's (BP) Deepwater Horizon disaster. "This nation's energy renaissance has been totally dependent on private investment on private land," said Andy Radford. a senior policy advisor with the American Petroleum Institute. Critics of the Obama administration, especially Republicans, have long accused him of not doing enough to encourage oil production. 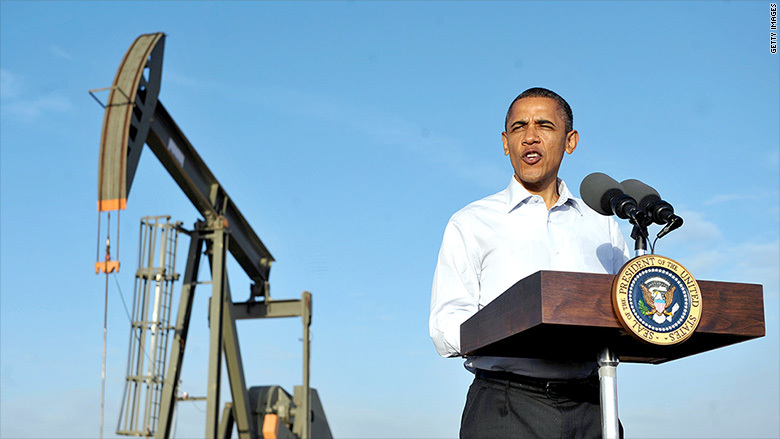 President Obama speaking at an oil and gas production fields on federal lands in New Mexico in 2012. The administration has taken some steps to limit production, including a temporary moratorium on drilling in the Gulf of Mexico in the wake of the Deepwater Horizon disaster and support for alternative energy. It has also proposed cutting $4 billion in yearly tax breaks on the oil industry, but that never got past Republicans in Congress. The latest fight has been over the administration refusal to approve the Keystone XL Pipeline to carry oil from Canada and North Dakota to refineries and terminals on the Gulf Coast. Despite environmentalists' anger over the offshore drilling proposal, Athan Manuel, a lobbyist for the Sierra Club, says the administration has been a friend to the environment on oil issues. He could have done more to regulate fracking, he said, but even with much tougher rules "the fracking boom would have happened." "It's harder to regulate on private land," said Manuel. "With Bush we were fighting over drilling on public land." Especially the new fuel economy standards his administration has implemented. They'll require automobiles to get an average of 54 miles per gallon by 2025, roughly double from when he took office, and that will have a huge impact on limiting demand for oil.